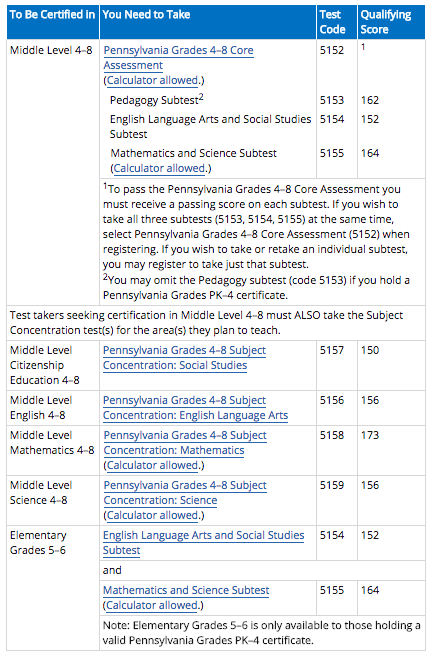 All students seeking certification in Pennsylvania are required to take a prescribed set of tests. Students seeking certification in most other states will also be required to take these examinations. 1. We require students to register to take the pre-service tests no later ED100 and to take the test no later than their sophomore year (no courses can be taken with higher course numbers than 205). The tests are meant to identify students who need remediation. If a student does not pass a test, he or she needs sufficient time to seek remediation in those areas of weakness. 2. Completion of specialty area and concentration area tests is not required for admission into the program. However, students must pass all the required PRAXIS II and/or PECT exams before the Education Department can submit students’ applications for teaching certification to the state. Please note qualifying scores are subject to change as required by PDE. The Pennsylvania Department of Education (PDE) requires all undergraduate students to pass a Pre-service Academic Performance Assessment (PAPA) in reading, writing and mathematics. The Pennsylvania Department of Education has authorized the Praxis® Core Academic Skills for Educators tests as an alternative to the PAPA. PDE also permits the SAT or ACT to act as an exemption to the pre-service exams. Students need to meet qualifying scores on those exams for exemption status. All three tests are to be taken in the freshman year. Students will not be allowed to continue coursework with numbers greater that ED 205 if these exams have not been taken. Verified passing test scores for PAPA or CORE must be included in the Application for Advanced Standing: Pre-Student Teaching Candidacy. ​"You may combine reading, writing and mathematics module scores from different test providers to meet the basic skills requirements. You may use the composite score method to meet the requirement when you do well in one or two areas to compensate for a lower score in the other area. The composite score is the sum of the passing scores. Use the Composite Score Calculator when mixing tests. Note When using the composite score, each test must meet or exceed the minimum score listed" (PDE, Fall 2017). 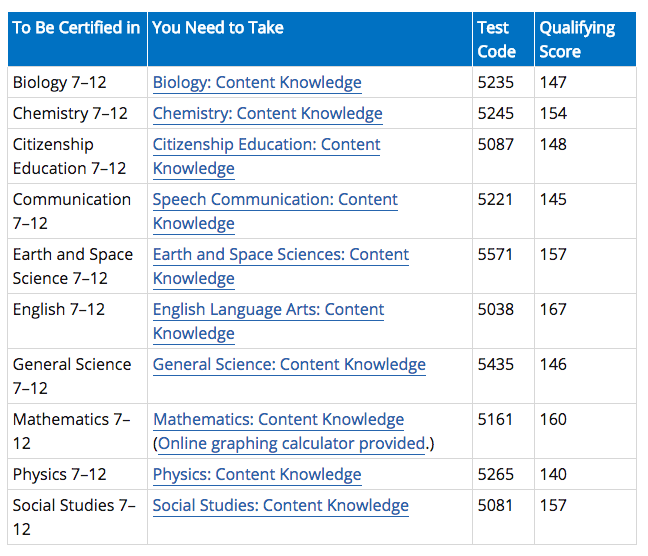 You may be exempt from taking the Basic Skills Assessments if you have high enough scores on either the SAT or ACT. Students who qualify for the exemptions must submit an original copy (in a sealed envelope) of their scores to the Education Office. You must obtain your scores online. Your official score report will be available online via your testing account on the score release date. PRINT AND SAVE YOUR SCORES. SAINT VINCENT COLLEGE DOES NOT AUTOMATICALLY RECEIVE A COPY OF YOUR SCORES. 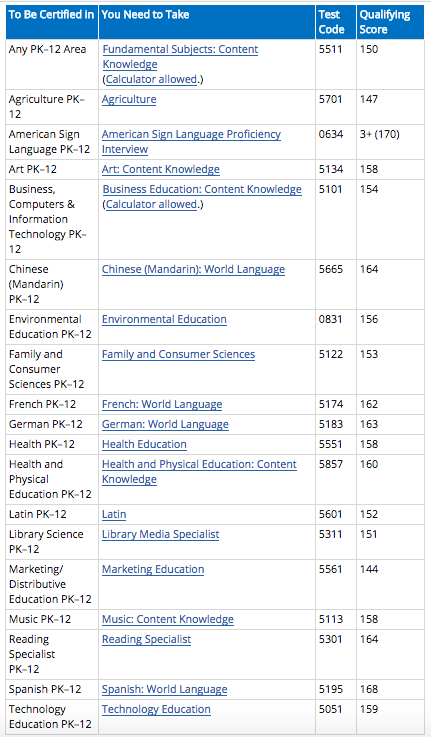 The pass scores may change based on the GPA that you hold. The higher your GPA, the lower the pass score on a Praxis exam. Based on Financial Aid, you may qualify for free tests. To see if you qualify to have your testing fees reduced, click here. These tests measure ability in the various content areas. A test is available for each instructional area. It is recommended that you register for these exams during your pre-student teaching semester and wise that you take the tests prior to student teaching. The PDE PECT site provides information about the following certification areas: PreK-4, Special Education PK-8, and Special Education 7-12. ​The ETS Praxis site provides detailed information about the specific tests you will need to take in order to obtain certification. This site is relevant for Middle Level, PK-12 and Secondary Certifications. Candidates with PreK-4 certification can test to add grades 5 and 6 as part of their certification. See Act 82 linked below for additional information. For the Special Education tests, the performance criterion for each Module is represented by a score of 220. Educators applying for an initial Instructional PK–12 area are required to pass a Fundamental Subjects: Content Knowledge test and the appropriate Praxis test.